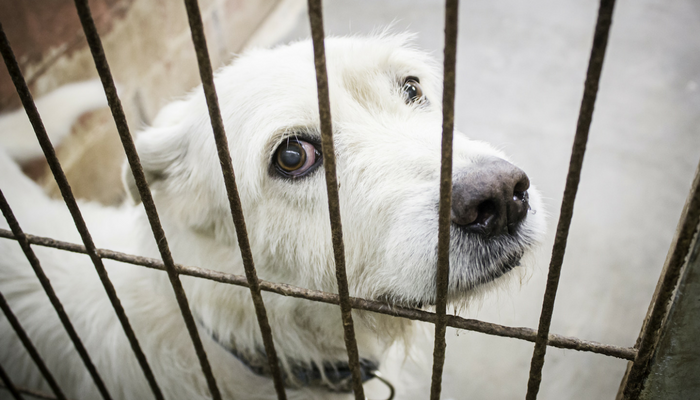 Update: The bill to ban the sale of puppy mill dogs in California passed. Governor Jerry Brown signed the bill on Friday, October 13. California may become the first state to ban the sale of puppy mill dogs in pet stores. The bill, AB 485, unanimously passed the California state senate last week, and has been sent to the Governor’s office who has until October 15 to sign the bill. And while I’m cautiously optimistic that this bill will pass, I’m also aware that opponents of the bill such as the American Kennel Club & the Pet Industry Joint Advisory Council are a well organized, vocal bunch who have a history of making it hard for legislation such as this one to pass. So I wanted to take a few minutes to clarify what this bill does & does not do, and why it’s so important to speak up now and show your support. Bill AB 485 will ban the sale of commercially bred dogs, kittens and rabbits in California pet stores. 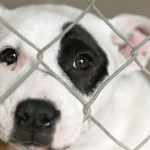 It requires that all pet stores selling dogs, kittens and rabbits obtain their animals from an animal rescue or shelter. The law would take effect on January 1, 2019, and those in violation would face a $500 civil fine. The bill only affects the animals available from retail pet stores, it does not impact an individual’s right to buy an animal online or from a private breeder. Puppy mills are commercial breeding facilities that mass produce dogs for profit. In many cases, puppy mill dogs are housed in crowded and unsanitary conditions without adequate food, water, veterinary care and socialization. An estimated 95% of the dogs sold in retail pet stores come from puppy mills, and store owners rarely know the conditions of the facilities they’re buying from. Supporters of the bill such as myself see banning the sale of animals between commercialized breeders and pet stores as an important step towards shutting down the puppy mill industry. It will have a direct impact on the puppy mills who sell their animals to pet stores in California, while also encouraging animal adoption. The passage of this bill will send an important message to the rest of the county, and will help pave the way for similar legislation to be passed in other states. Opponents of AB 485, such as the American Kennel Club and Pet Industry Joint Advisory Council, argue that this bill will put pet stores out of business, and that it will impact consumer protections, citing the fact that pet store puppies come from regulated breeders. It is true that commercial breeders are required to be regulated by the USDA, but in practice the ones that are regulated are far from the majority. There’s an estimated 10,0000 commercial breeders in the United States, but less than 2,000 of them are regulated. And for those that are regulated the standards that they’re required to meet are extremely minimal, allowing the puppy mill industry to thrive. 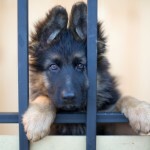 For example, under federal standards dogs can be housed in a cage as long as it’s at least six inches larger than the animal and cleaned once a week. And per federal regulations dogs don’t need any exercise or to be let out of their cages, unless they’re being kept by themselves in an enclosure that’s less than two times the required space for the dog. The standards set by the Animal Welfare Act are so abysmally low that breeders can keep animals in cramped cages, give them water as infrequently as twice a day, and breed females continuously to the detriment of their health. The worst offenders, who fall short of even the minimal standards, get cited but may remain licensed despite repeated violations. – Puppy Mills Are Hubs of Animal Cruelty. We Don’t Need Their Business in California. Earlier this year the USDA removed all inspection records from their website, leaving consumers and retailers unable to obtain any information about the facilities they obtain their animals come from. Opponents of AB 485 cite the fact that pet store puppies come from regulated breeders, but the fact is no responsible breeder sells their puppies to pet stores. 95% of the dogs in pet stores come from puppy mills. California can make history with this bill. 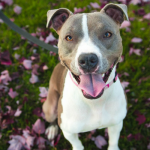 If signed this bill would become the first in the country to regulate the sale of animals at the state level, and could help pave the way for similar legislation in other states. Stopping this part of the supply chain that supports mass breeding facilities is an important step towards putting an end to puppy mills. While I’m cautiously optimistic that this bill will pass it’s important to remember that it’s not a done deal yet. Opponents of this bill have a long history of mobilizing and blocking similar bills, so it’s imperative that those of us who want to see an end to puppy mills speak out. On their site the American Kennel Club is urging concerned California citizens to contact the governor to veto the bill. Well, I’m urging you to contact the governor in support of it. And if you’re not in California? You can still help just by spreading the word. Those of us who’d like to see an end to puppy mills may not have a powerful lobby or be as organized as the AKC, but we do have a collective voice. If you want to see California ban the sale of puppy mill dogs in pet stores now is the time to speak up and make your opinion known. This bill will help pave the way towards getting puppy mills shut down for good, and together we can help get this bill passed. I would like to show my support, we do not need puppy mills. 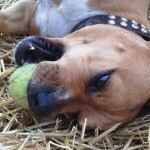 There are plenty of puppies, dogs looking for a loving home which are currently in shelters. Puppies are loving, feeling animals and should not be a victim to this cruel start in life being breed in puppy mills. Puppy mills can destroy the life of those homeless dogs. There are many homeless dogs that needs to be adopt they are the ones who needs our care in the first place.